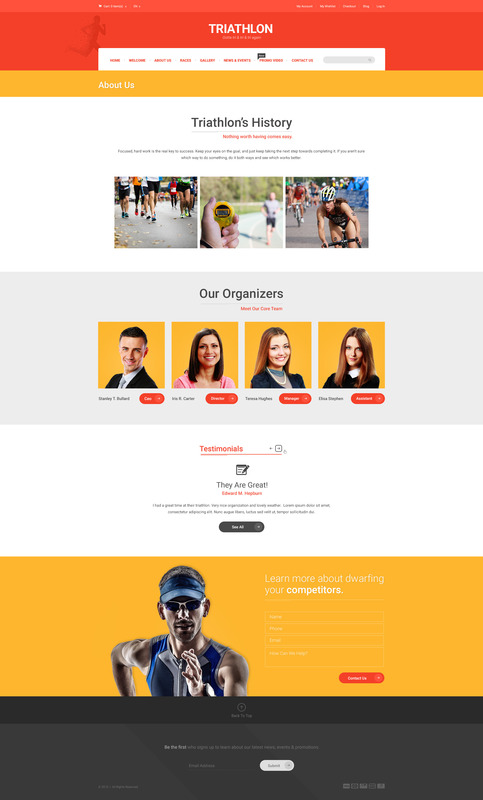 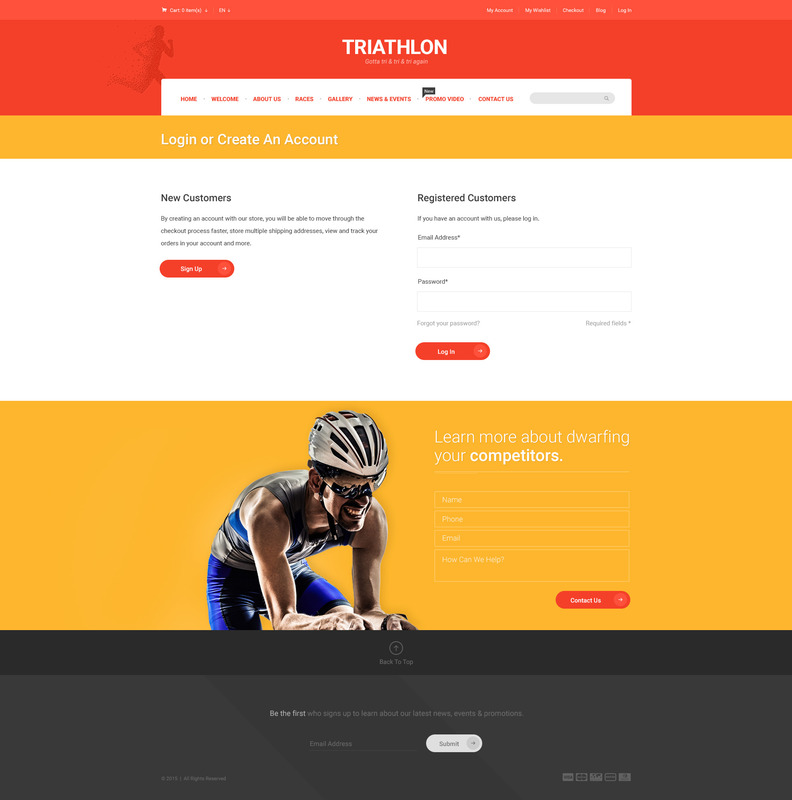 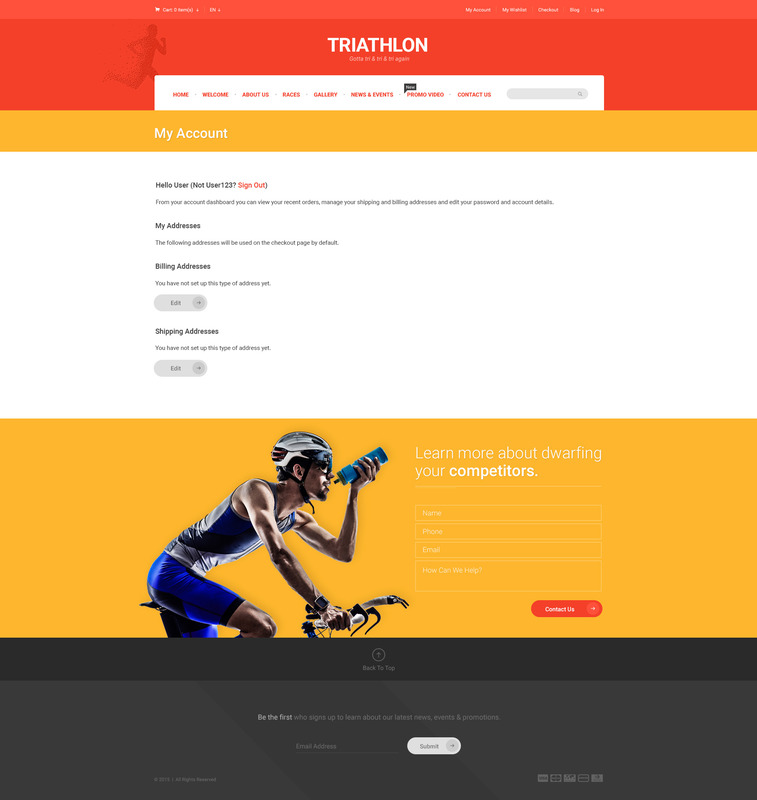 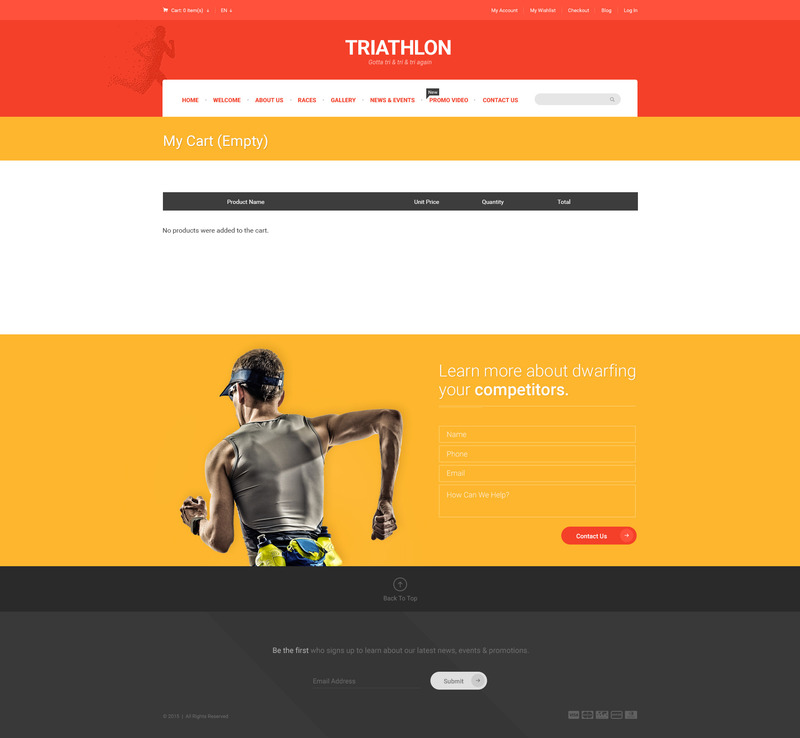 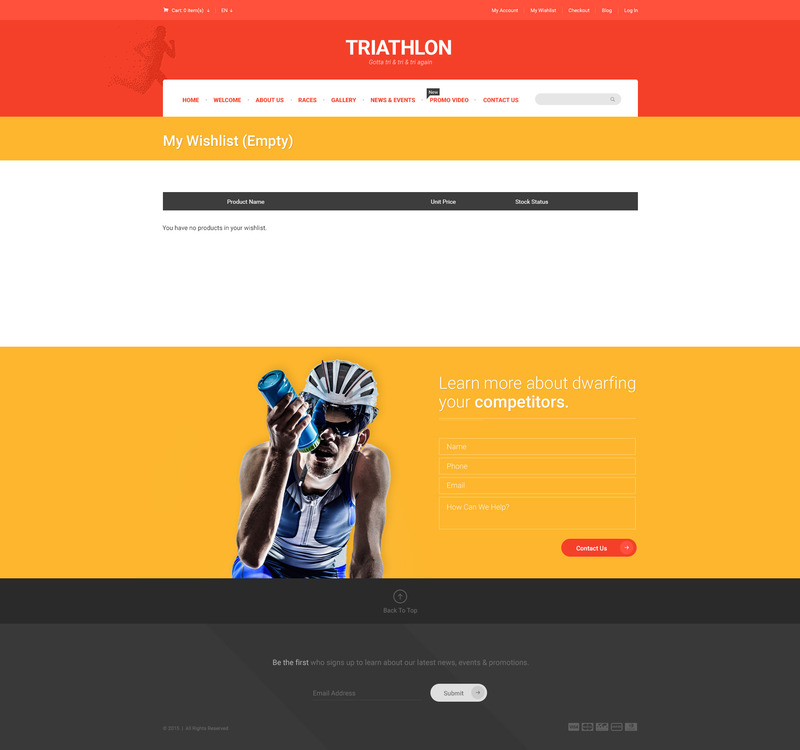 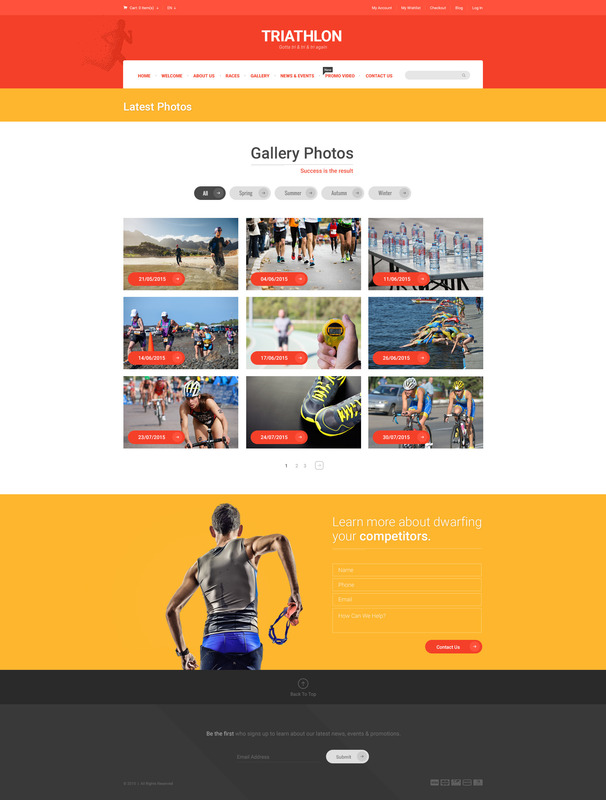 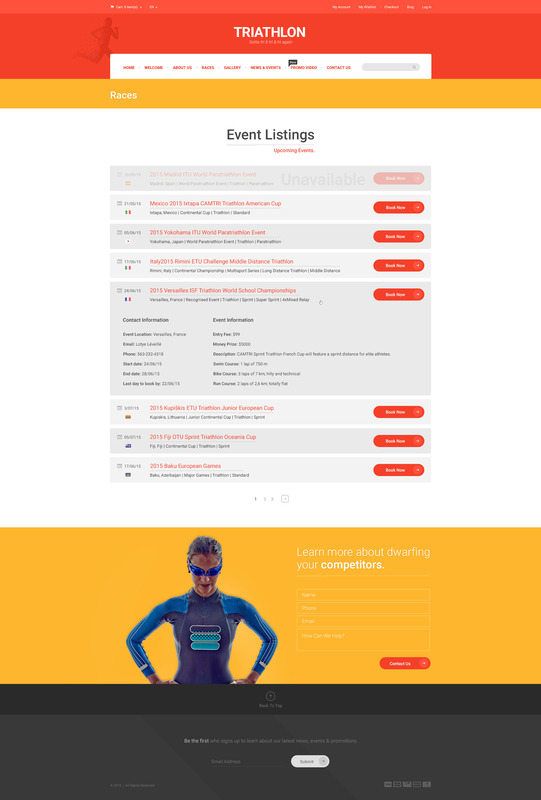 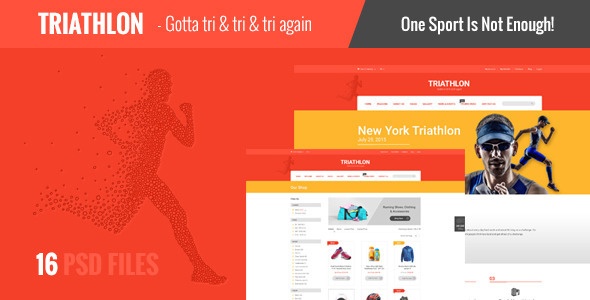 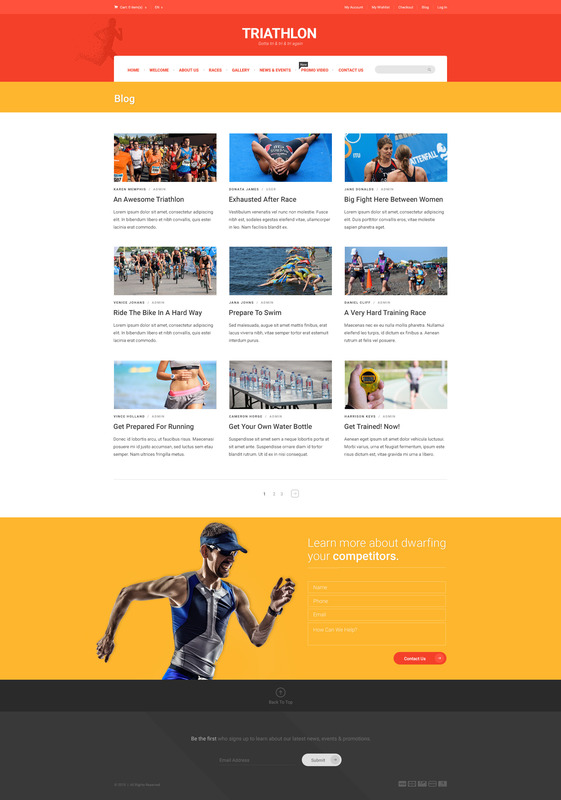 Triathlon is a creative PSD template especially made for triathlon websites, but also for marathons or sports websites. 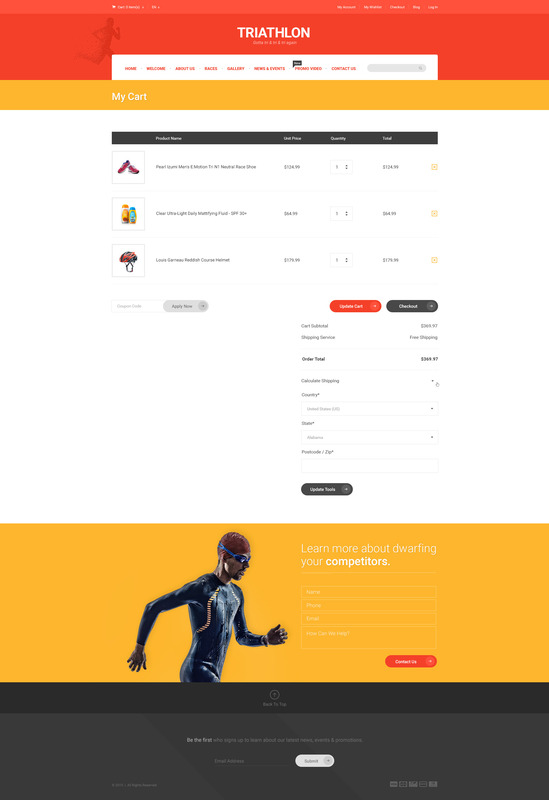 It includes 16 PSD files, and also shop pages in case your company sells products. 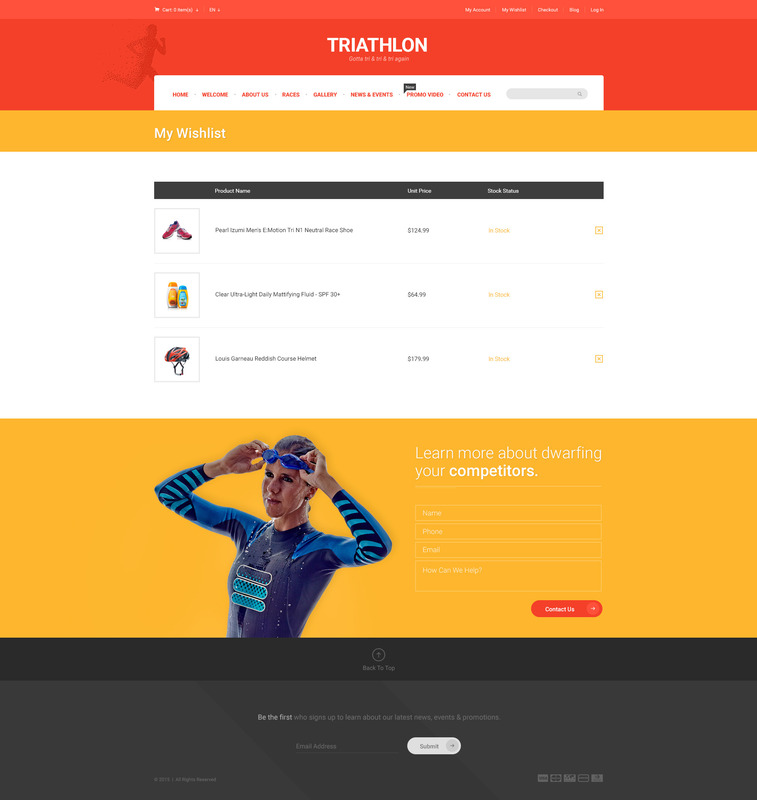 Please note that none of the images used are included in the final package, nor the image on top with the athlete icon. 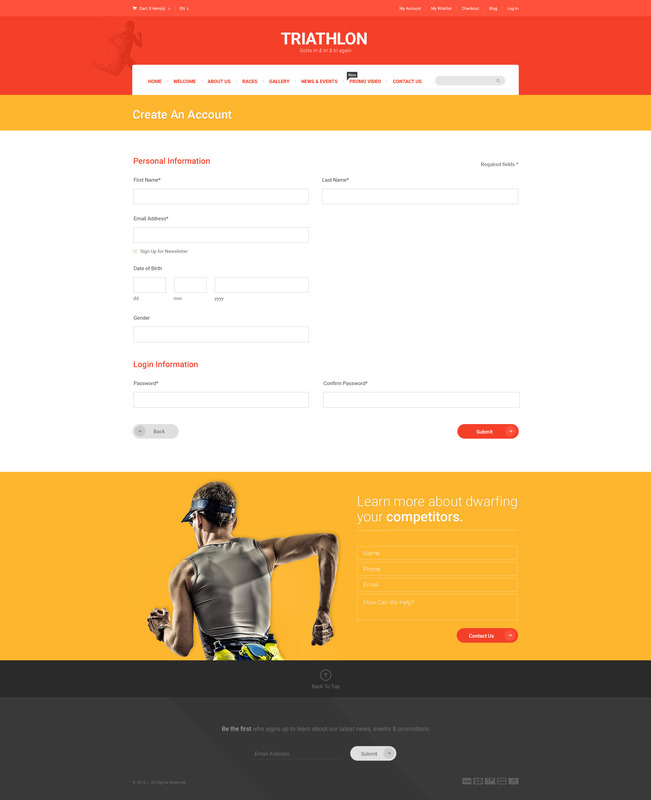 If you need support, please send me an email using the contact form on my user page.